A great big bag of awesome on Thanon Song Wat in Chinatown, Bangkok, Thailand. 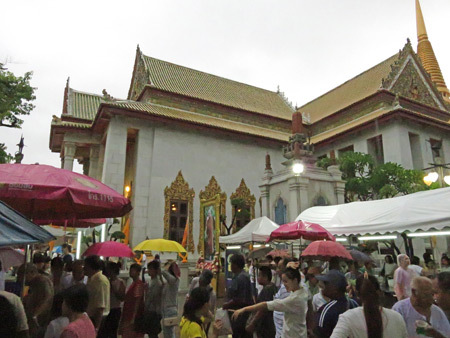 A Buddhist ceremony at Wat Bowonniwet Vihara in Phra Nakhon, Bangkok, Thailand. 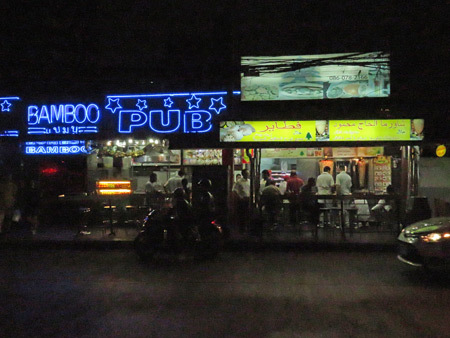 The Bamboo Pub on Sukhumvit Soi 3 in Bangkok, Thailand. After reading the news, and writing and Photoshopping for my travel journal all afternoon, I jumped on a bus number 15 for Siam and scored shotgun for the second or third time ever, which was nice, because I could actually see where I was going and enjoy all of the chaos and urban eye candy that Bangkok has to offer. Bailing at the jam-packed Siam, I boarded a SkyTrain and rode it one stop away to Chit Lom. 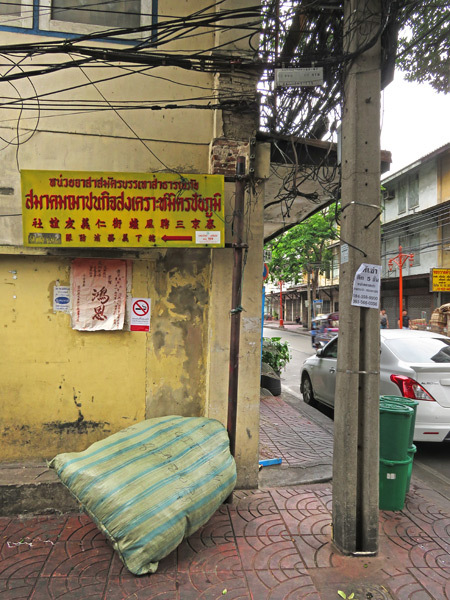 My plan was to take a stroll down Thanon Sukhumvit to shoot some photos and find a good place to eat. 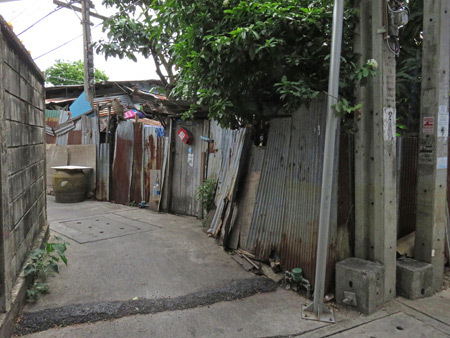 Enter the shantytown maze toward the National Museum of Royal Barges in Bangkok, Thailand. 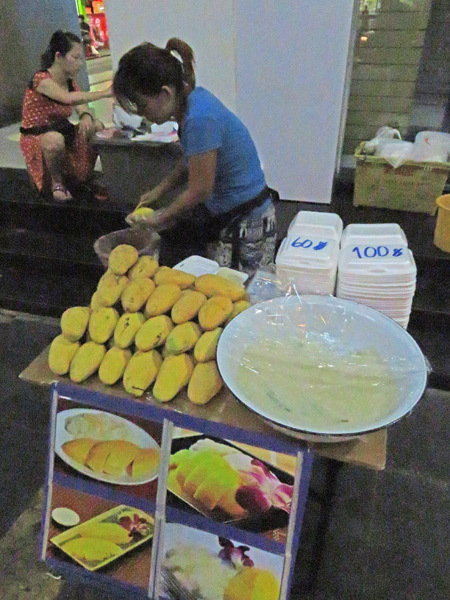 Yummy mango and sticky rice on Thanon Silom in Bangkok, Thailand. After relaxing and researching Sumatra all afternoon, I wanted to go on a walk, but couldn’t decide where. 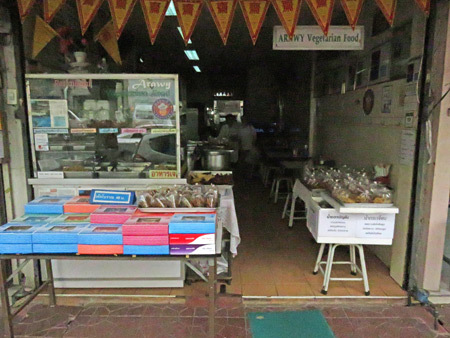 When I boarded the river boat heading south, I thought I’d disembark either at the stop for Chinatown to go eat some street food, or Saphan Taksin to catch the SkyTrain over to Silom, which is a nice avenue to walk down and find a place to eat. During the cruise, the cool breeze felt refreshing, and all of the high rise buildings, temples and tourist boats lit up like neon Christmas trees were quite a sight to see. I also spied a few of those deluxe dinner cruise boats all decked out with chefs presiding over formal settings complete with white tablecloths and wine glasses, packed with scores of tourists stuffing their well-to-do faces. Arawy Vegetarian Food restaurant in Bangkok, Thailand. 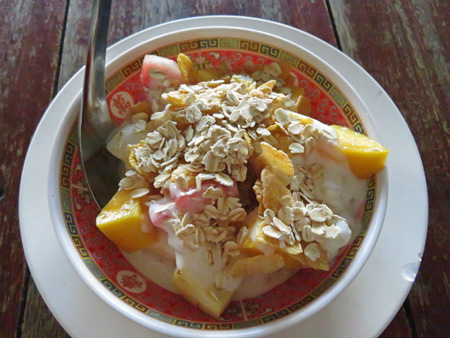 Fruit, yogurt and muesli for breakfast at Number One Vegetarian Restaurant in Banglamphu, Bangkok, Thailand. 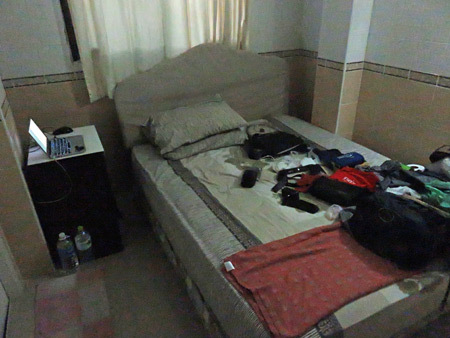 My new deluxe room on the fifth floor of the At Home Guesthouse in Banglamphu, Bangkok, Thailand. 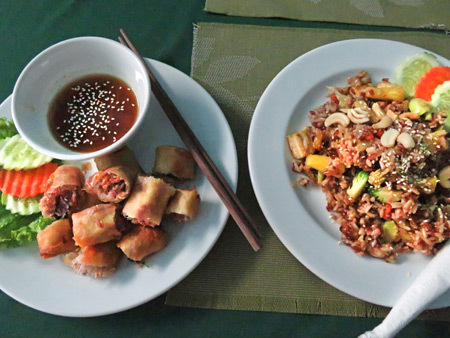 Fried spring rolls and fried rice with pineapple and vegetables at May Kaidee’s in Banglamphu, Bangkok, Thailand. 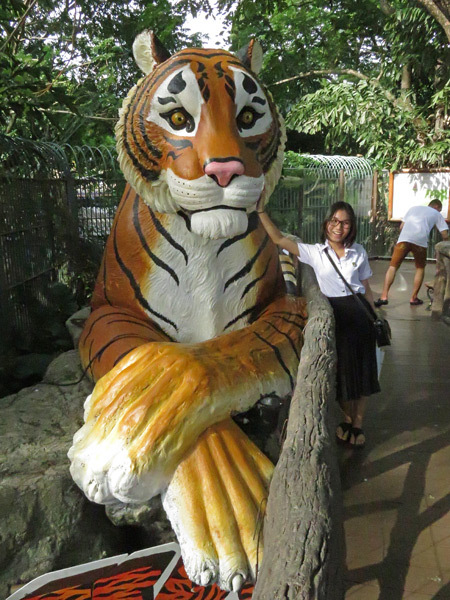 A tiger and a girl pose at the Dusit Zoo in Bangkok, Thailand. You are currently browsing the Arcane Candy weblog archives for July, 2015.